While the impending demise of Carl Grimes has been pretty all-consuming for fans of The Walking Dead, it appears another character may be facing certain doom in the coming episodes. Lauren Cohan, who plays Maggie Rhee (née Greene) on the hit series has just signed on to star in the ABC pilot Whiskey Cavalier alongside Scott Foley, leaving her future on The Walking Dead uncertain. Per Deadline, Lauren Cohan’s contract on AMC’s hit series reportedly ends after the current eighth season, which returns with its second half on Sunday, February 25th. The actress has yet to sign a new contract for Season 9 (or beyond) after rejecting the network’s first offer. The actress reportedly asked for pay parity with male costars Andrew Lincoln and Norman Reedus, who make significantly more than their female costars, but was instead offered a moderate pay increase. With Lauren Cohan potentially leaving the zombie horror series, Maggie’s on-screen fate is now up in the air. Cohan, who joined the cast of The Walking Dead on a recurring basis during Season 2 before being upgraded to the main cast for Season 3, remains one of the longest-running actors on the show. Currently, the fan favorite — who is also still alive in the comics the series is based on — is one of the leaders of the Hilltop community and is pregnant with her late husband Glenn’s (Steven Yeun) baby. 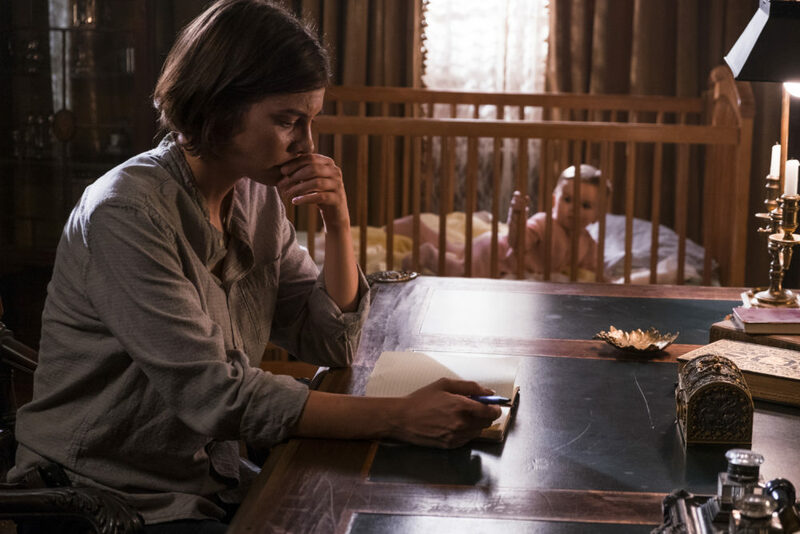 While, we’ve seen that anything can happen on The Walking Dead, Maggie’s death — especially considering the tragic death of Glenn during Season 7 — would definitely be unexpected and devastating for fans. But, it should be noted, there’s still some hope for Maggie. According to Deadline, if Whiskey Cavalier does get picked up by ABC, it doesn’t necessarily mean Cohan would have to completely leave The Walking Dead. It seems Cohan (and Maggie) could potentially remain on the zombie series on a recurring basis if Cohan and AMC are able to negotiate a contract. While we’re thrilled that Lauren Cohan will likely remain on our TV screens with Whiskey Cavalier, we’re hoping the actress and AMC are able to work out an arrangement for The Walking Dead Season 9 so we don’t have to say goodbye to Maggie forever. Our hearts definitely wouldn’t be able to take it!